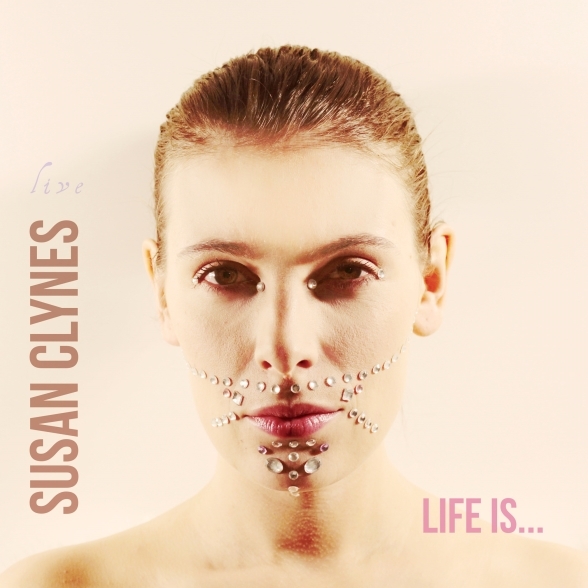 New York, NY – “Life Is…” marks the international debut of Belgian singer/pianist Susan Clynes, on New York based MoonJune Records. This release was compiled from three live concerts done at two different locations, each one with a unique band configuration. The Archiduc, an historic Art Deco bar in Brussels dating back to 1937, served as the backdrop for two of these performances. The first was done in trio format with Nico Chkifi on drums and Pierre Mottet on bass. The second was a more intimate solo performance at the Library of The Cultural Center of Bree. The third and final performance saw the return to the Archiduc, this time as a duet with Simon Lenski on cello. Each band configuration provided its own framework and pallet of tonal colors for these diverse sound portraits. “A Good Man” and “Ileana’s Song” make playful use of the drumkit and bass. These clever songs lie somewhere between Slapp Happy-era Dagmar Krause, Elaine Di Falco’s work with Thinking Plague, Annette Peacock and early period Kristin Hersh in her band, Throwing Muses. The chiefly instrumental piece, “Les Larmes”, a composition about the Israeli-Palestinian conflict, is brimming with emotional expression making excellent use of the cello as a universal human voice. The distilled and emotive songs for voice with piano accompaniment bring to mind such undervalued luminaries as Laura Nyro and Essra Mohawk. Susan’s piano work runs the gamut from such radio-friendly performers as Tori Amos and Fiona Apple, briefly dipping into Tony Banks-like arpeggiations and cascades, and arriving at the jazz-inflected polytonality of French composer, Darius Milhaud. There are points in your life when you have to go with the moment. You donʼt always know what the consequences will be of such a choice, or if the path you go down is ultimately the right one. Yet in your heart of hearts you sense itʼs the right thing to do. You go with the moment and take that leap into the unknown. Susan Clynes knows all about going with the moment and taking the leap. Her first CD, Sugar For A Dream, was released in 2005 (with Ramses Donvil on drums & Sebastien Thomé on bass) and in other circumstances could have heralded the beginnings of a standard singer-songwriter career path; courting the big labels and looking for the big breakthrough. Instead, Clynes followed the advice sheʼd received at the camp and went on to study composition, eventually obtaining her Masters degree at the Ghent Conservatory. The result was the emergence of a far more rounded talent, not only capable of mapping out the emotional geography of the heart and head at a piano in a solo concert, but scoring a viola concerto or guesting with Belgian prog-jazz outfit The Wrong Object. It was precisely these qualities which forcibly struck MoonJune Recordsʼ Leonardo Pavkovic after Clynesʼ husband Antoine Guenet, keyboard player with Univers Zero, recommended that his wife should sing on The Wrong Object’s After The Exhibition, and in March 2013 suggested to Pavkovic that she should ʻjoin the great Moonjune familyʼ. “Antoine is really a driving force behind me and is always urging me to go forward. They often say behind every great man is a great woman but in this case the opposite is more than true” laughs Clynes. • Promo cds and high quality promo digital downloads of the album available in generous quantity. • Susan Clynes is available for interviews. • After promotional shows in her native Belgium, Susan Clynes will do a short promotional tour in the USA in Spring 2014 with possible performances in Brazil and around Europe (planning is in process). • Similar known artists: singers Tori Amos, Annette Peacock, Essra Mohawk, Fiona Apple, and Laura Nyro; pianist Tony Banks.